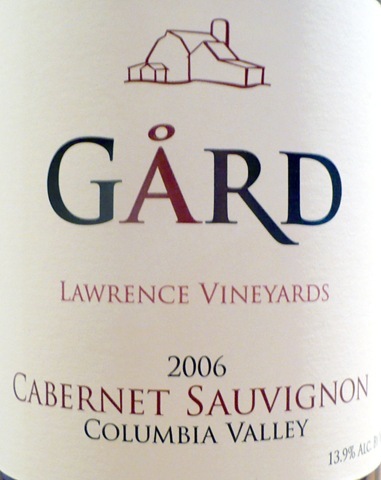 Josh and Lisa Lawrence are grape growers and managing partners of Gard Vintners. I had the opportunity to meet them as they poured wine for the late arrivers at their exciting new Woodinville tasting room last Saturday night. Josh’s family has been farming the Royal Slope near Royal City for over 40 years. The wine they make is from their own estate grown vineyards. OK.. great grapes are only part of the wine equation. Their winemaker is Robert Smasne of Smasne Cellars and acclaimed winemaker for a number of other notable area wines. You will love this combo Gard/Smasne tasting room! 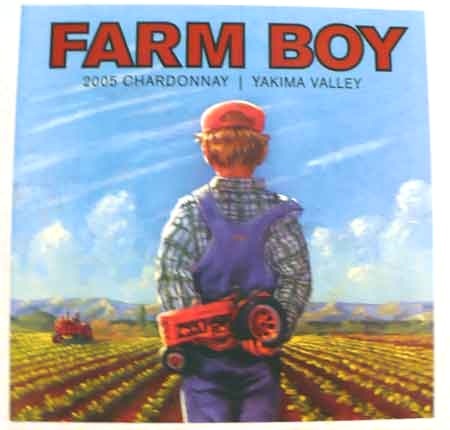 From Smasne’s fun artist drawn Farm Boy labels with wine to match to Gard’s highly acclaimed 2006 Dry Riesling and expertly crafted Gard label wines there is something for everybody. Don’t miss their Grand opening May 16th! ……along with the much anticipated premier pouring of Smasne Cellars-Carmenere. Thanks for stopping by, Maureen. It was great to meet you! Hope our paths cross again soon. oooh, and one more thing – Lisa. The Carmenere that I told you about was from Merry Cellars in Pullman http://merrycellars.com/. My husband and I met your parents at the Holiday Inn Express in Pullman for many post- basketball game wine tastings last year. Your wines are wonderful! Since meeting them, I have taken a job as Executive Director of Columbia River Wine Country, an association comprised mainly of Wenatchee and East Wenatchee Wineries. We do many great wine-tasting events, and we are broadening our scope of wineries to include more of North Central Washington. I would be interested in talking to you about the possibility of joining our association so that you can participate in these events also. Cheers, and Go Cougs! A commentary on NW terroir and local Real Estate. (N) the complete set of local conditions in which a particular wine or family of wines is produced, including soil-type, weather conditions, topography and wine-making savoir-faire.